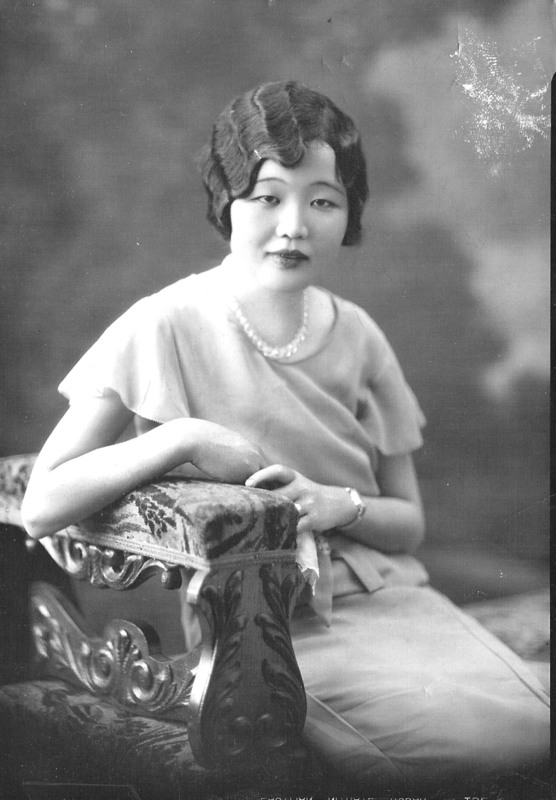 A photo of the author’s maternal grandmother, Asako, prior to moving to the U.S. from Japan. Growing up in a suburban/rural town of 18,000 in Southwest Connecticut, our family was both the only Japanese American and interracial family in our community. When my mother moved there in the mid-1980s, she recalls walking into a diner and everyone in the restaurant stopped talking and stared at her, as if she was the first Asian American they had ever seen. Perhaps for many present that day, she was. Like many JAs, our family is mostly located out West in California, Utah and other states in the Pacific Northwest region. After growing up in Denver and attending college at the University of Colorado Boulder, she came to the East Coast for a job in New York City and began commuting from the Connecticut suburbs. Being half-Japanese in an era when interracial marriages were still fairly uncommon, my mother has a kind of quiet resilience about her. She has certainly experienced her share of discrimination, living most of her life in white majority communities, but that hasn’t stopped her from engaging in aspects of our culture that keep her firmly rooted within her JA identity. Her Issei grandmother lived until 2006 to the ripe old age of 96. While her siblings often teased my mother about being the “white child” because of her lighter complexion and brunette hair, Grandma (or Hibaachan as I knew her) never questioned her Japanese-ness. In fact, it was perhaps because of her mixed ancestry that led to such a close bond between them — my mother endeavoring to prove her Japaneseness and Hibaachan happy to have an eager listener. My Obaachan was almost 6 years old when Pearl Harbor was bombed. Like most Issei immigrants, her parents were scared of what a detention period in U.S. custody might mean for their five young children’s futures. It was my great-grandfather whose foresight led our family to flee inland to Utah, beyond Military Zone 1 and thus avoid the incarceration. Life was tough for them during the war years, having to abandon their farm and property in California, spending the winter of 1942 in a single-room canvas tent on a frozen farm field. The following year, they were able to move into a storage shed owned by the Thorogood family, whose farm they sharecropped for many years. Although he passed away before I was born, my great-grandfather left an indelible impact on our family’s identity as a Judo Sensei and founding member of the Judo Association of Utah. Two of his dojos still exist today in the Salt Lake City suburb of Ogden. In certain ways, he was a very progressive man, wanting to instill a sense of pride in young JAs by preserving elements of their traditional culture at a time when being Japanese was synonymous with being the enemy. However, it was this traditionalism that my Obaachan rebelled against when she began dating and later married my white grandfather. At the time, Hibaachan hid all of the kitchen knives and other sharp implements out of fear that her husband would commit seppuku. My grandparents had their own ordeal ahead of them, having to drive through three states before they could find a priest willing to marry them, building a new life in the unfamiliar state of Washington. Old grudges were quickly mended by the successive births of four grandchildren, and our mixed-race family became the new normal. As a Nisei who grew up speaking Japanese at home, my Obaachan chose not to pass her language onto my mother or her siblings. For one thing, it would have been an issue with my grandfather, who did not want a foreign language he could not understand spoken by his children. More importantly, however, by marrying my grandfather, Obaachan had realized her own American dream of finding conditional acceptance in a society that had been openly hostile for most of her life. Why risk spoiling it by teaching her biracial children things that would demarcate them as even more different than they were already perceived? Despite her lack of language abilities, my Sansei mother is about as JA as they come. My sister and I grew up eating ochazuke, inari zushi and yokan. Our favorite treats were mochi ice cream, Pocky sticks and Botan Rice candy. We had a big pot of Koda Farms rice with every meal. Many of my values and my sense of moral obligation comes from the JA culture passed on through my mother, though I did not realize that until I was much older. Other cultural aspects like my mother’s annual classroom visits to share Japanese folk songs and teach origami were more obvious — and embarrassing to a young boy desperately seeking approval from his monocultural peers. Although most people who live in areas heavily populated by Asian Americans would identify my mother as mixed, she looks Asian enough that no one questioned her Japanese-ness in our community. Things were a bit more complicated for me, born with blonde hair and green eyes. Children don’t perceive social constructs such as race or gender until someone else points them out. In my case, I did not know that it was unusual to have family from mixed racial and ethnic origins, or not look like the people you were related to until it became a subject of derision from my peers. I learned my first word from my Hibaachan. I have fond memories of watching chanbara samurai dramas with her, learning how to bake apple turnovers and can jars of preserves with peaches picked from her small orchard in Ogden. I think most families go through some kind of identity crisis when they lose the head of their family, but for our myriad mixed-race clan, the loss of our matriarch also severed our direct connection to Japan. With Hibaachan gone, did that mean we were somehow less Japanese? No, but for a time it certainly felt like it, and although we never spoke about it, I could tell that many of my fully ethnically JA cousins felt the same. It was this sense of loss that inspired me to begin my own journey of cultural reclamation, starting with learning the language of my ancestors. Shortly after, I decided to move to Japan, and for the past decade, much of my life has been dedicated to the study of Japan and the Nikkei Diaspora. Up until that point, I had always considered myself to be Japanese as opposed to Japanese American. Growing up outside of the JA communities of the West Coast, my concept of identity came from the traditional aspects of Japanese culture Hibaachan imparted by way of my mother. It was by living in Japan that I came to understand that JA culture is as far removed from Japan as German American is from Germany. As much as we attempt to preserve our immigrant cultures, communities living in diaspora suffer the burden of time between today and when their ancestors emigrated. The culture of origin continues to progress and after a few generations is virtually unrecognizable to their overseas sons and daughters. That was certainly the case for Hibaachan when she visited Japan for the first time in 50 years during the mid-1980s. Yet, JAs and other Asian Americans are constantly singled out for their foreign otherness by Americans of European ancestry who nevertheless celebrate bastardized versions of St. Patrick’s Day or Oktoberfest. The problem is that for most of our history as the JA community, the dominant Eurocentric culture has attached a negative stigma to being Japanese. From white nativist farmers in California demanding our incarceration to Detroit autoworkers killing a man because they thought he was Japanese — our community was under the gun for most of the 20th century. This was particularly difficult to navigate as a biracial JA child in an overwhelmingly white community with less than 5 percent people of color and not a single other JA beyond my mother or sister. Although I had the privilege of passing for white, I grew up fighting kids on the schoolyard who called my mom a Jap, or me the son of a Saigon whore. I wasn’t allowed to play with certain kids whose grandfathers fought in WWII when they found out who my mother was. Because of these negative social pressures, there was a time in my life when I was ashamed to be Japanese, and even did my best to hide it. Today, I am not only proud of being JA, but I actively celebrate it in the work I do both personally and professionally in advancing the Asian American and Pacific Islander Movement through the arts. By moving to Japan and learning to speak Japanese, I reclaimed aspects of our culture that were erased both deliberately through governmental intervention and by the passage of time. I also came to understand my own place within the JA community. Despite blood quantum or physical appearance, I am Japanese American. I am grateful to my elders at the JACL who accepted me as one of their own and continue to mentor me through this journey of self-discovery and quest for social justice. Rob Buscher is a member of the JACL Philadelphia board of directors.